Why hello there December. So nice to see you. SO glad you are keeping your cool temps at bay.. remind Winter to do the same once she gets here as well. (Knocking on all the wood in the house now. No way am I going to jinx the warmer temps we have been getting up here in central New York!) 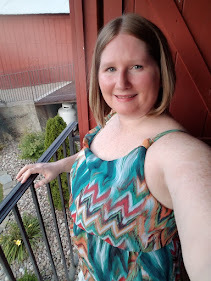 Anywho, today I am excited to be co-hosting The Awesome Link up with Anne over at Love the Here and Now! So let's see what's currently cooking in the awesome pot.. The holidays are in full swing and I get to end the year with not only a party into the new year but with another birthday. I am a new years eve baby so there is normally not a problem finding a party, but it is hard to find people to celebrate the birthday side of that day. One thing I do look forward to is lunch with my mom. It is a new tradition since I moved out of state. She takes me to lunch when I can come visit and we order the works. 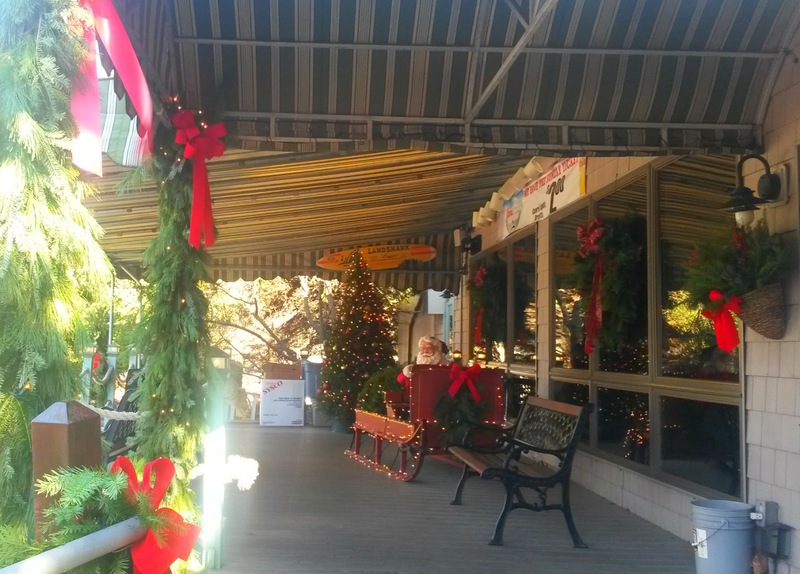 Appetizers, festive drinks, yummy entrees and of course dessert! The place we do lunch every year for my birthday! Always decked out beautifully! I have recently gotten into writing in a journal. I am debating starting a second one. The reason for this is the one I have been focusing on is a personal one about how I am working on me. It gives me daily quotes to help remind me that I am doing okay. I have enjoyed exploring my thoughts on a personal level but am not wanting to expand into other things. I think keeping those things separate would work best for me. My creative side has really shown lately with the writing and now the coloring. Having a book to color in is not only relaxing but gets me excited to get off my computer. I feel like all I have done over the past year is waste a lot of time surfing the internet for no real reason. Being able to disconnect and do something else is really making the difference. I keep missing all of the fun swaps out there, but I think I will be on the list for all kinds in 2016. 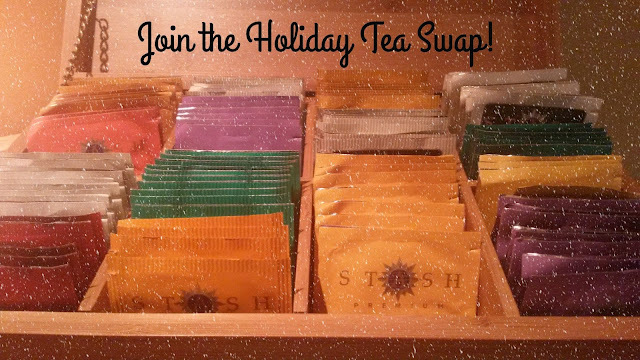 Speaking of swaps, have you joined my Holiday Tea Swap?! Nothing like sampling some new teas for the winter season. I'm not gonna lie, I did a little shopping this year. I am a sucker for a good deal, and man did I hit the jackpot this year! Not only did a get some great Christmas gifts for my family at the outlets, I also was able to find myself a deal on upgrading my cell phone (FINALLY!) without having to pay that ridiculous monthly fee all the phone companies are charging there days. I call that a super win! Another outcome of Cyber Monday.. I was able to snag an amazing deal at Dream Midtown in NYC. It has been my "dream" to stay there forever! I have a kanji tattoo on my foot that says "Dream". It is there to remind me to never give up. When I found out there was a hotel with that name I wanted to go, but alas it was way out of my price range. Now me and R will be staying there for our anniversary in March! So much awesome happening! I hope you all have some awesome to share with us! Link up below!